Welcome to the Jason Smith Funeral Chapel online information and resource centre. Our mission is to provide the highest level of personal and professional service within the pleasant surroundings of our new facility. It is our goal to meet the cultural, religious and financial needs of each family that have given us the privilege of entrusting their loved one to our care. 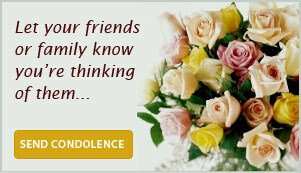 This easy-to-use website is another way of expressing our funeral home's passion and purpose of serving others, by allowing each user the opportunity to view a death notice, to leave a personal online condolence, find contacts for local florists and also provides roadway directions to help you find us easily. ©2009 Smith Funeral Chapel. All Rights Reserved.